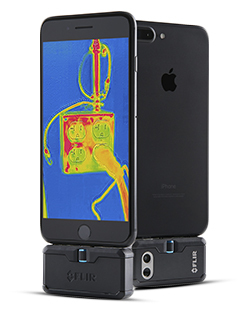 FLIR have this week unveiled their most affordable smartphone thermal camera, the FLIR ONE. It’s currently available for pre-order worldwide and deliveries will be shipped later this month. 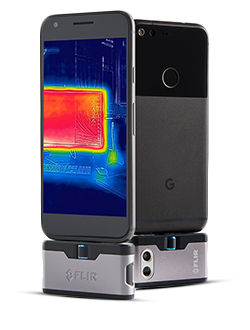 This is the third generation FLIR ONE and the thermal imaging camera is powered by FLIR’s Lepton thermal microcamera core. 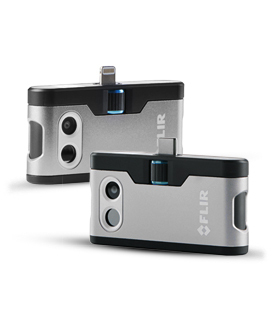 The FLIR ONE Pro is slightly more expensive and is designed for everyone, whether they are a professional or a consumer and it is claimed to be the most advanced FLIR ONE to date. It has a stylish, sleek design that is specially made to cope with whatever you can thrown at it. It is drop tested to 1.8m and is ideal for those who work outdoors in various conditions. It delivers all the functionality and high quality thermal images of previous generations of FLIR ONE while offering exclusive FLIR ONE App features such as onscreen temperature tracking regions and multiple spot temperature meters. It comes equipped with a high-definition visible and thermal camera, utilising FLIR’s multispectral dynamic imaging (MSX) technology. It drastically improves image quality with high-fidelity, visible-light details while providing a host of new or improved features. It is smartwatch compatible, pairing with Apple Watch and selected Android smartwatches, offering the chance to take images or video from your smartwatch or stream live thermal imagery. It also has a OneFit adjustable connector that allows the connection to be adjusted to as little as 4mm so it can suit a range of smartphone cases with removal. It also features an improved FLIR ONE app that provides in-app tips and community sharing of images and videos. The FLIR ONE is priced at just $199.99 with the FLIR ONE Pro priced at $399.99 and is available to pre-order now. 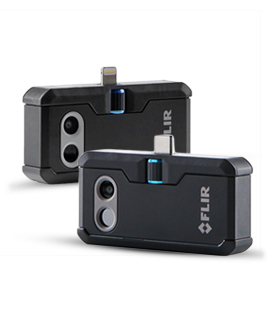 To learn more about FLIR ONE, visit www.flir.com/flirone. How do you think smartphone thermal imaging cameras could be improved in the future?